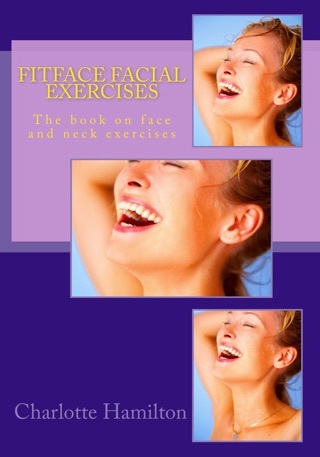 Fitface - How to get a natural face-lift, tighten sagging skin, smooth wrinkles, build collagen and elastin. Look your best at any age. Fitface, is the best pain free alternative to needles or knives and only takes 15 minutes a day! This book shows you step by step, photograph by photograph in four stages - basic, beginner, intermediate and advance routines on how to achieve a fabulous fit face. 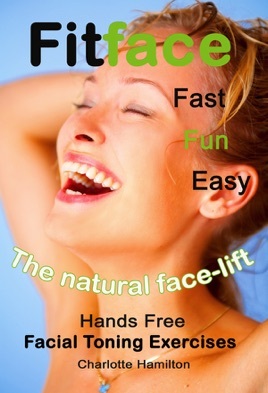 Fitface was developed especially to avoid damaging delicate skin; and therefore is the only “hands free” facial toning exercise technique. - with any regular moisturizer. Fitface is fast; feel results in 24 hours and see the outcome in only 30 days. Fitface is easy; face exercise anytime, anywhere. Fitface is fun; be silly, enjoy. Beauty doesn’t have to boring or expensive! Surgeons agree; toned facial muscles are the most important part of looking good. Why wait? Give it a go! Fitface today or be sad, sorry and sagging tomorrow? Awesome read, definately worth a try, trust me!!!! Wow what a book! :-) I really didnt think I would BUT learned so much about how the face works and how to keep my skin looking great just from taking a small amount of time to read about it. My mum used to go on and on about how bad Botox is and not to use it and instead just to try facial exercises. I remember her always saying to me “You exercise your body to keep fit, so why not your face? She had a point so finally I gave in and we looked on the net together and chose Fitface because my mum thought it was best as it was “hands free” and she thinks that too much pulling the skin with makeup etc will causes wrinkles. I tried the basic exercises and couldn’t believe that my face ached the next day therefore I knew they were doing something- its just like having a big work out at the gym- the exact same concept. I started doing it again a week later. Now, three months later I’m an expert and my face looks as good as my body. Like anything you need to keep doing it but the same goes for eating or breathing I guess, its just routine now!